It is accurate to say that Ecocash has a monopoly on the mobile money market with more than 90% of all mobile money transactions happening on the Econet platform. These statistics were shared by Mr Chinoda of the Competition and Tariff Commission speaking at the Mobile Money and Digital Payment Conference. The Minister of ICT, Supa Mandiwanzira spoke further on why this scenario is concerning. He acknowledged that it is not through any fault on Econet’s part as they executed their business plan effectively. Though not anyone’s fault it is not the ideal scenario. The 90%+ market share Ecocash enjoys is both concerning and impressive when you consider that the other 10% market share is shared by government owned organisations. Minister Mandiwanzira confirmed that the government owns 100% of Netone (One Wallet) and 60% of Telecel (Telecash), of which they intend to own all of. With the government also being the regulator one then understands why Econet sometimes laments that it is unfairly targeted by the regulator. With their competition being their regulator too, there is motive for them to use policy to compete. The minister however believes there is justification for government to be so heavily involved in the mobile money market. He cited the fact that if Ecocash goes down either because of system failure or intentionally for political purposes the impact would be huge. With the cash crisis and growing importance of mobile money transactions many businesses and individuals would not be able to transact and this could lead to chaos. Indeed such power should not be in the hands of one corporation. He cited the fact that many other governments are heavily involved in the mobile sector but the question remains, is our government competitive enough? How can one corporation competing against several government owned organisations gain such a huge market share? Should the government actually be dis-investing and letting private corporations battle it out so that we get the competition that Econet and Ecocash deserve? Probably. Ecocash is a monopoly and realistically it does not seem like that is going to change anytime soon. 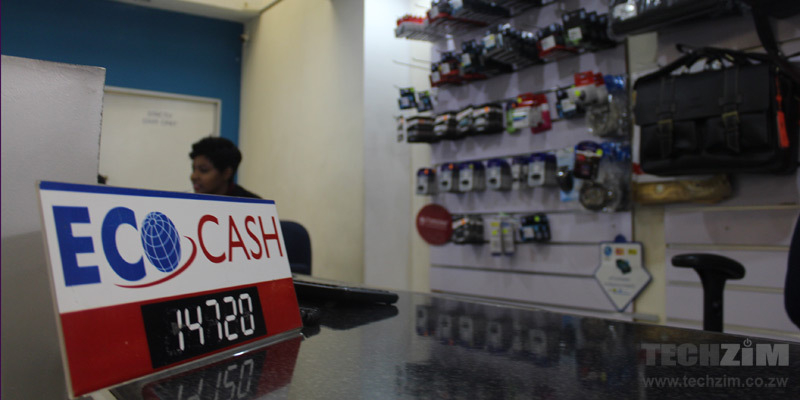 Ecocash then has the power to charge whatever it wants and this could be why most of us feel it is expensive although prices were recently slightly reduced. The other players in the market have been reduced to followers and so no meaningful market forces at play. Something should be done about this monopoly position but it is complicated because the entity responsible for this happens to be the sole competitor to the monopoly. As a competitor the government has not been as effective and clipping Ecocash’s wings could only serve to hamper progress in this important sector. It will be interesting to see what action the government will take. What do you think about the whole situation? Do let us know in the comments below. There is no food for lazy man, EcoCash has gone its way out to invest. Government with its unrestrained control on any entity should prioritize development above expenditure. Mxm this now affecting the ecocash Limit.. They reduced Online payments to $50 per month Wat nonsense is this now! That is to do with the USD hard currency shortage. I like to be monopolised by Econet and lm enjoying it. Anyone who doesnt want to, please move to other money platforms and enjoy the Chef/Boss mentallity and Zanufication of everything. I can now send money direct to the person l want and do business directly because Ecocash solved the issue of middle men who used steal money from people abroad. Mandiwanzira have nothing to cry, he bought Telecel and boasted that now government have upperhand through unification of netone and telecel operations. Munofunga kuti kudya sadza here kuti makambani akupe gohwo guru. I’m amazed that Supa has lost the plot. Zanu PF is not popular at all with the working class who would rather support a company which cherishes Christian values and basically works hard for and improves their lifestyles. I can’t say the same for the bloated Zanu PF government.